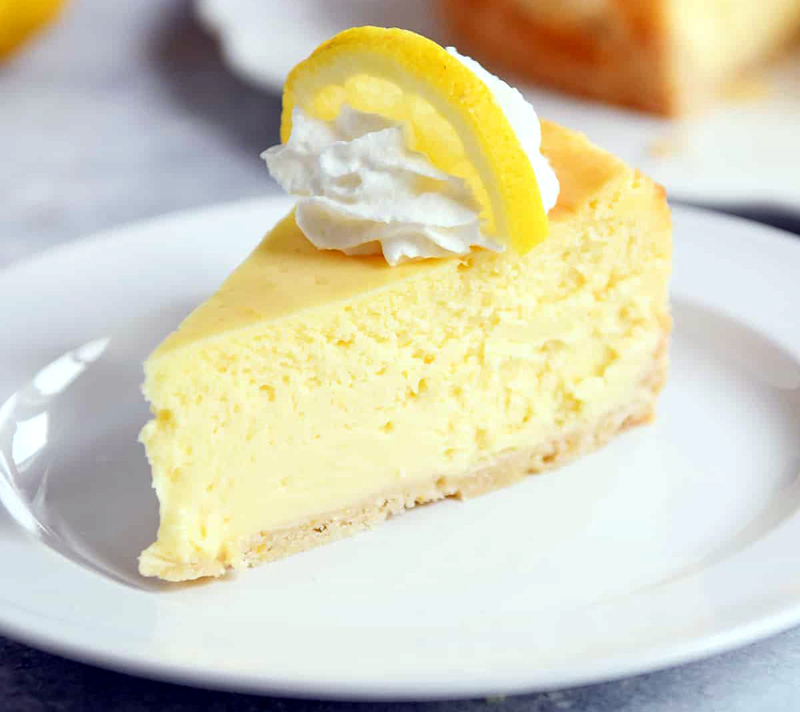 Although it takes some time to prepare this eye-catching cheesecake, the combination of tangy lemon and rich white chocolate is hard to beat. It's always a hit! Preheat oven to 325°. Place a 9-in. springform pan on a double thickness of heavy-duty foil (about 18 in. square). Securely wrap foil around pan; set aside. In a small bowl, combine the flour, confectioners' sugar and zest; cut in butter until crumbly. Press onto the bottom and 1 in. up the sides of prepared pan. Place on a baking sheet. Bake 25-30 minutes or until golden brown. Cool on a wire rack. In a large bowl, beat cream cheese and sugar until smooth. Beat in white chocolate, flour, cream, lemon juice, lemon zest and vanilla. Add eggs; beat on low speed just until combined. Pour into crust. Place pan in a large baking pan; add 1 in. of hot water to larger pan. Bake 65-85 minutes or until center is just set and top appears dull. Remove pan from water bath. Cool on a wire rack 10 minutes. Carefully run a knife around edge of pan to loosen; cool 1 hour . Refrigerate overnight. Remove sides of pan. Garnish with white chocolate and lemon peel if desired. Freeze option: Wrap individual portions of cheesecake in plastic wrap and place in a resealable plastic freezer bag. Seal bag and freeze for future use. To use, thaw completely in the refrigerator. 1 slice: 637 calories, 45g fat (28g saturated fat), 182mg cholesterol, 327mg sodium, 49g carbohydrate (36g sugars, 0 fiber), 11g protein.